Nie geweet daar was daai jare al Photochop beskikbaar nie, of was die mannetjie se oe op 'n stadium wel oop gewees? I started on a 79' Honda Z50r. 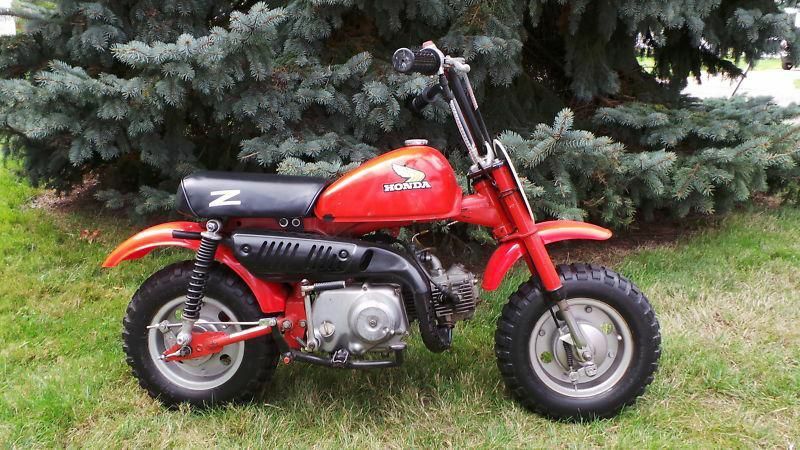 I wonder how many Z50's Honda sold over the decades? I can't find any info on how many Honda manufactured. Pic borrowed from the web. I got this bike in 1973 when I was 12 years old. We lived out in Broederstroom near Hartebeespoort dam and I rode it all over the farm roads and off road around there. My Boet and my self 1980. That XT 500 must have been brand new. Yes I bought it brand new with my back pay after finishing my national service. My first bike - Yamaha XTZ125. Not as classic as some here, but was a lekker little scoot.